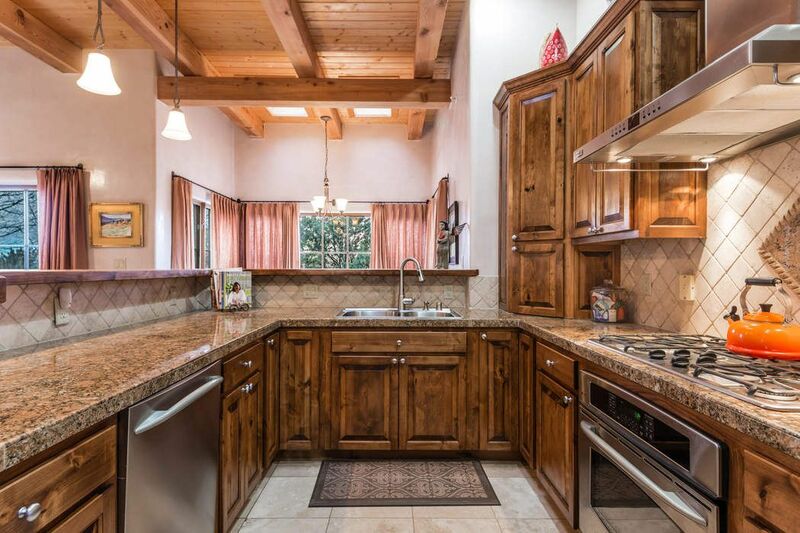 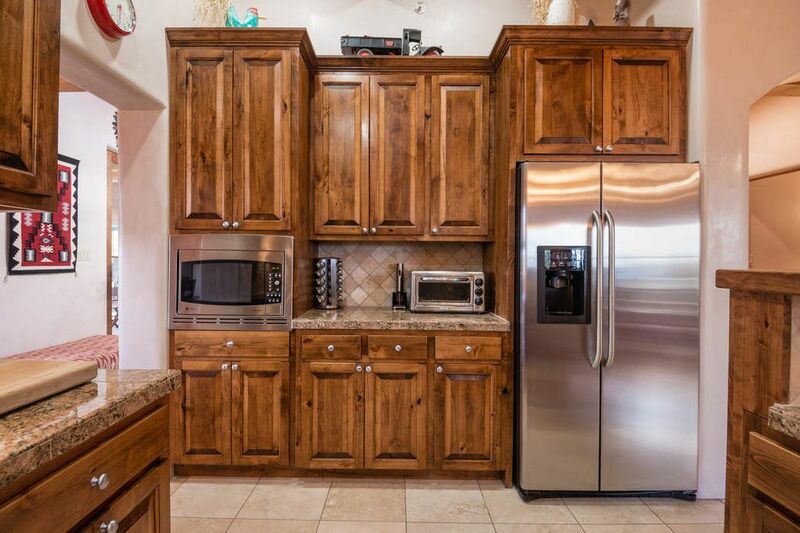 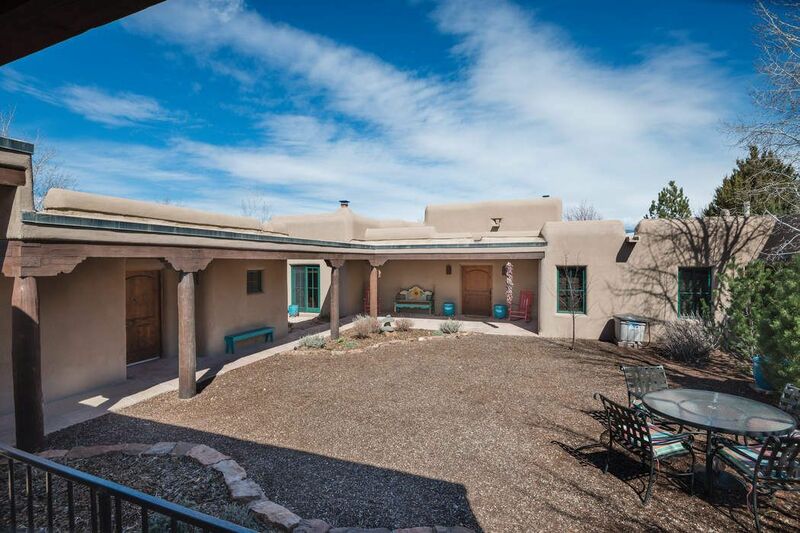 6 Plano Arbolito , Santa Fe, NM 87506 | Sotheby's International Realty, Inc.
$849,000 3 Bedrooms3 Full / 1 Partial Baths3,010 sq. 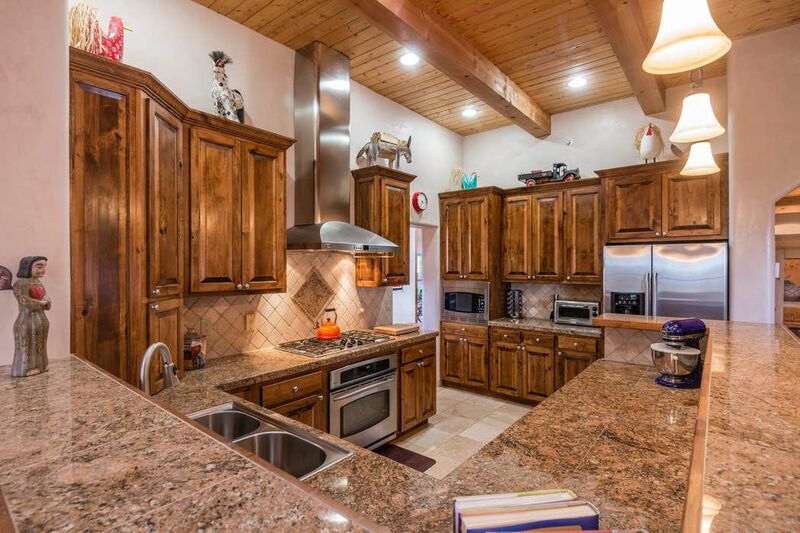 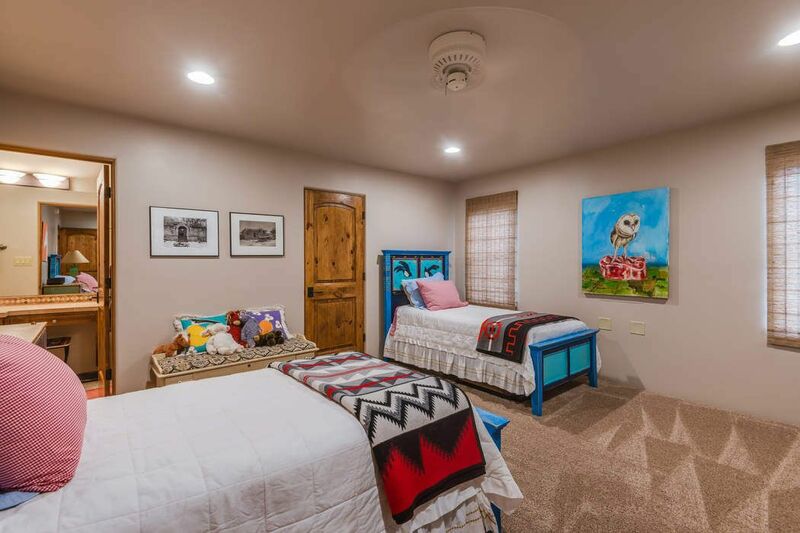 ft.
Nestled among cedar trees and tall grasslands in the rolling hills off Tano Road and, just minutes from town, this home sits in the sought-after community of Heartstone. 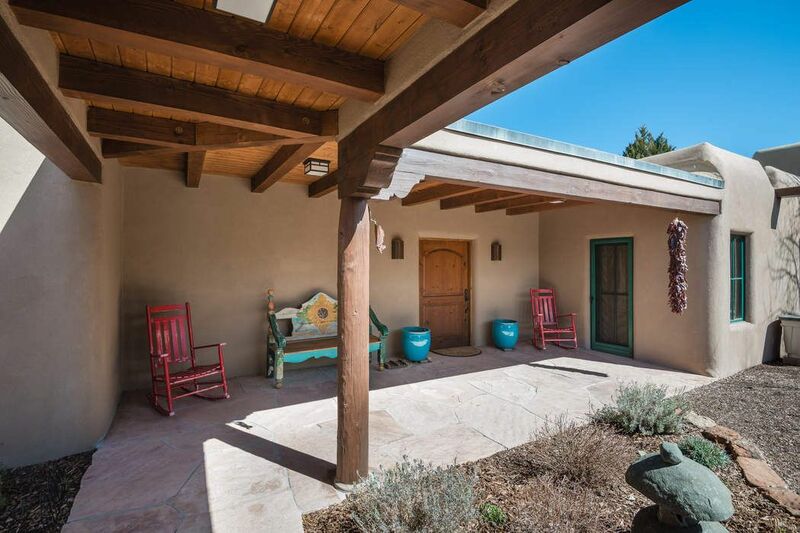 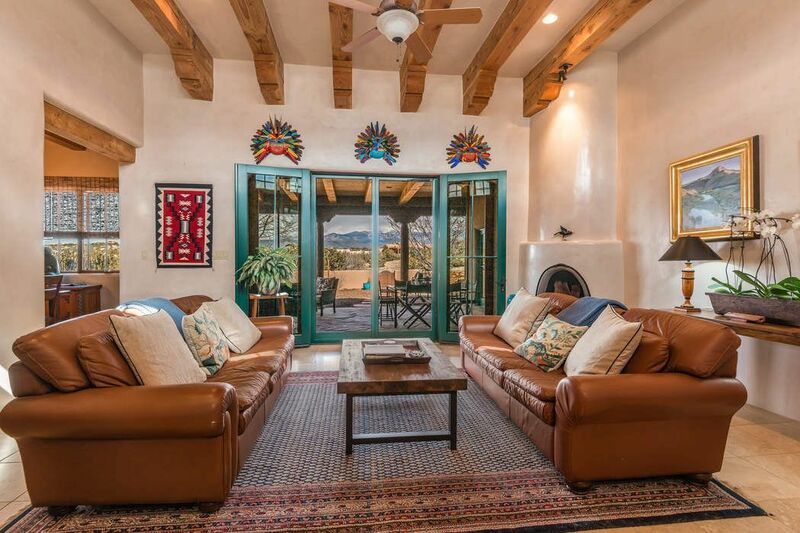 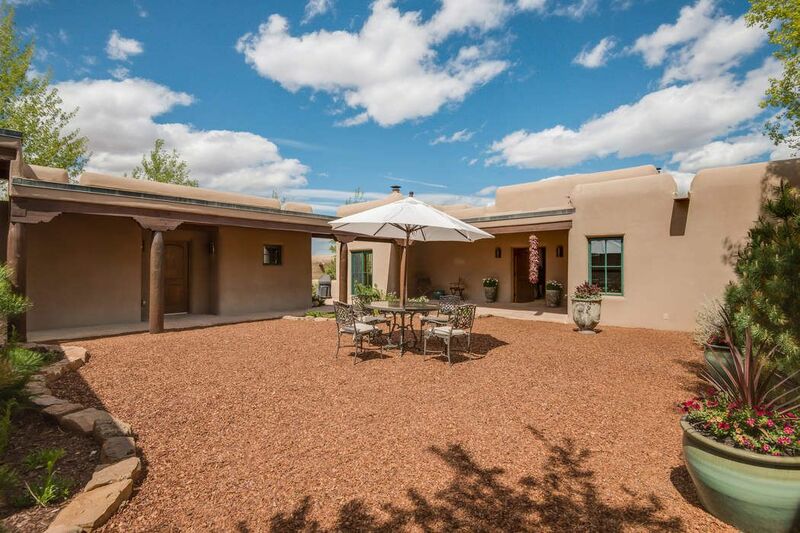 The 2510 square foot hacienda-style home is sited on .54 acres of land and includes a 500 square foot separate casita, a walled back courtyard and an enclosed front courtyard with a separate three-car garage. 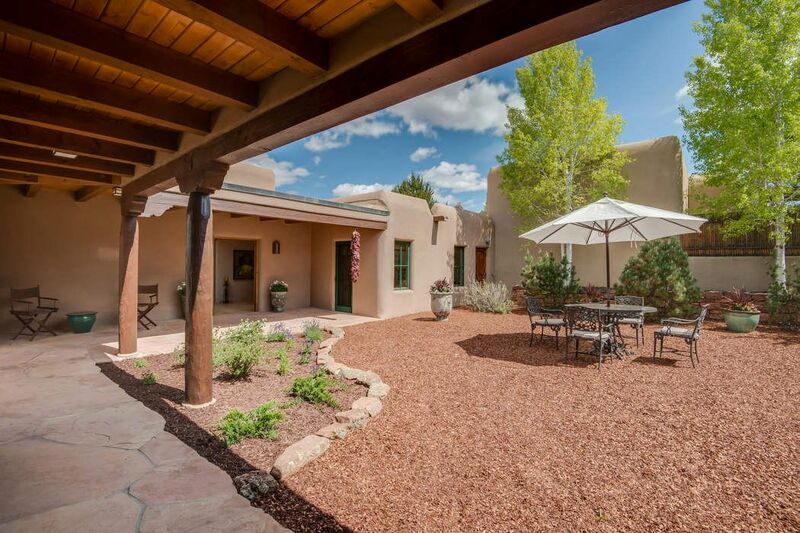 A covered walkway links the main house, casita and garage. 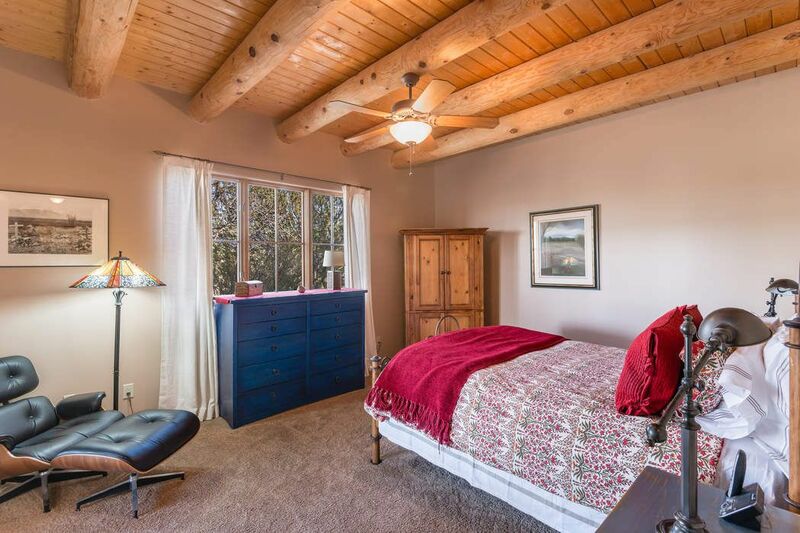 The main house features two large bedrooms, each with a walk-in closet and full bath. 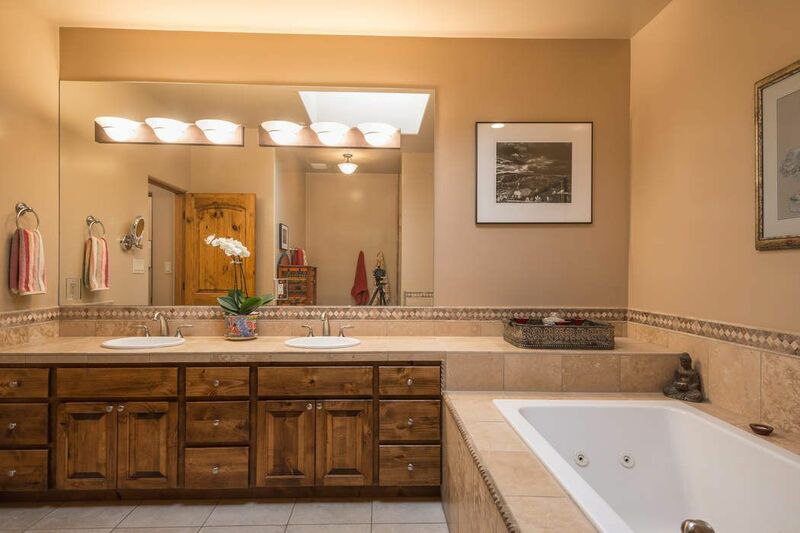 The master bedroom includes a master bath with jacuzzi, separate shower and a well-appointed walk-in California closet. 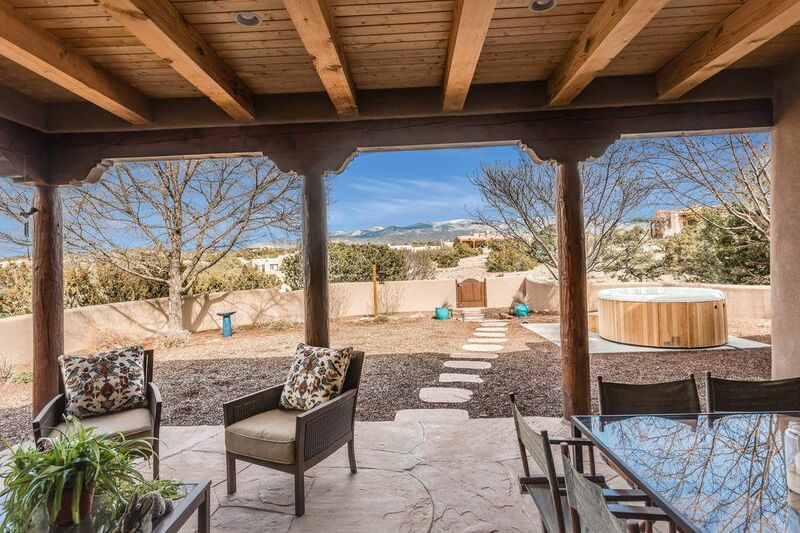 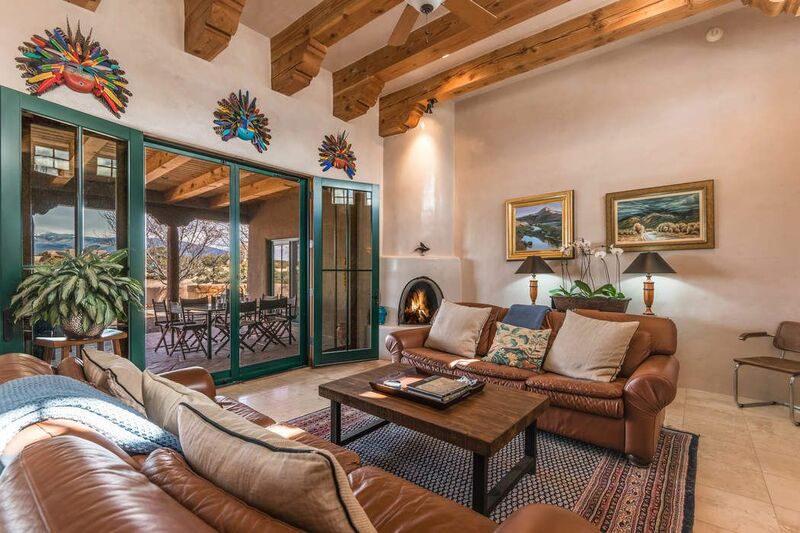 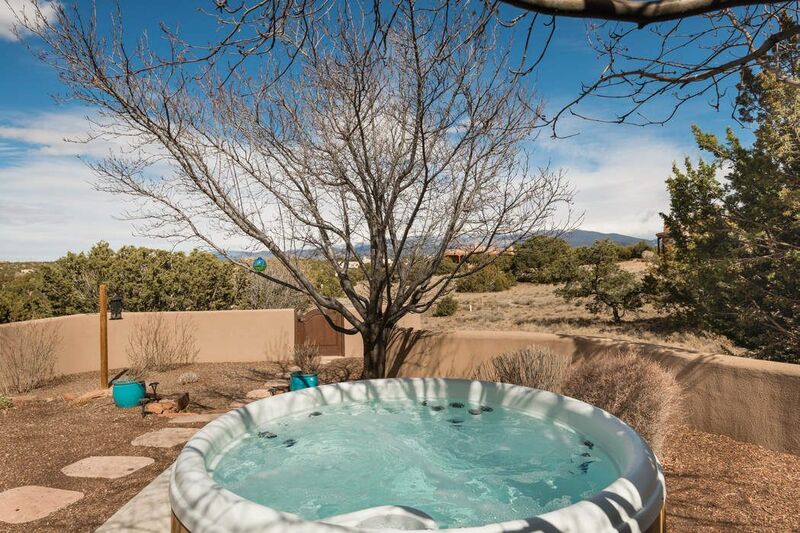 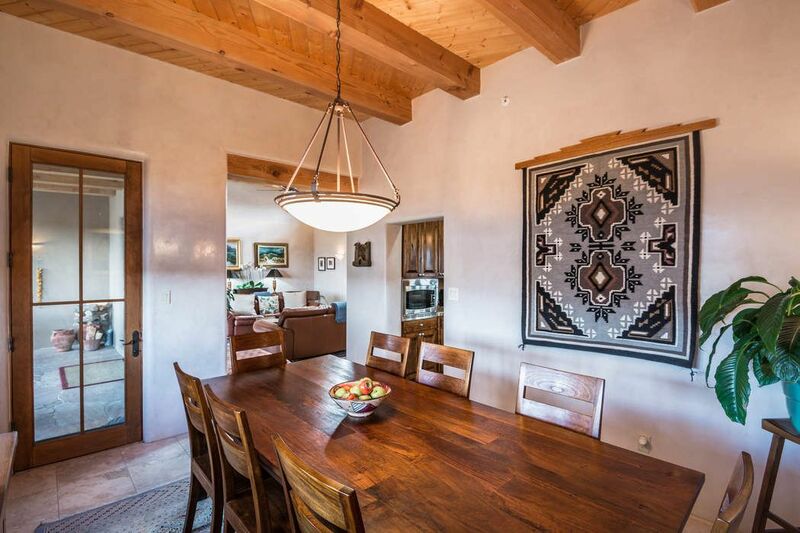 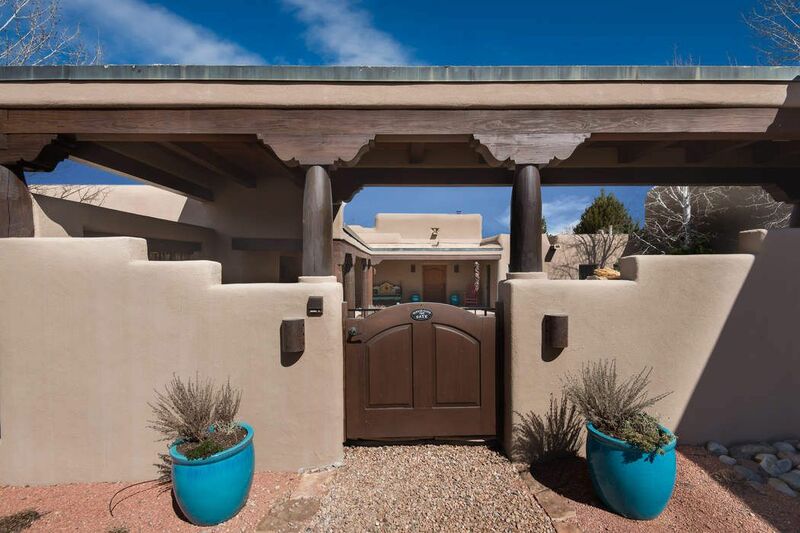 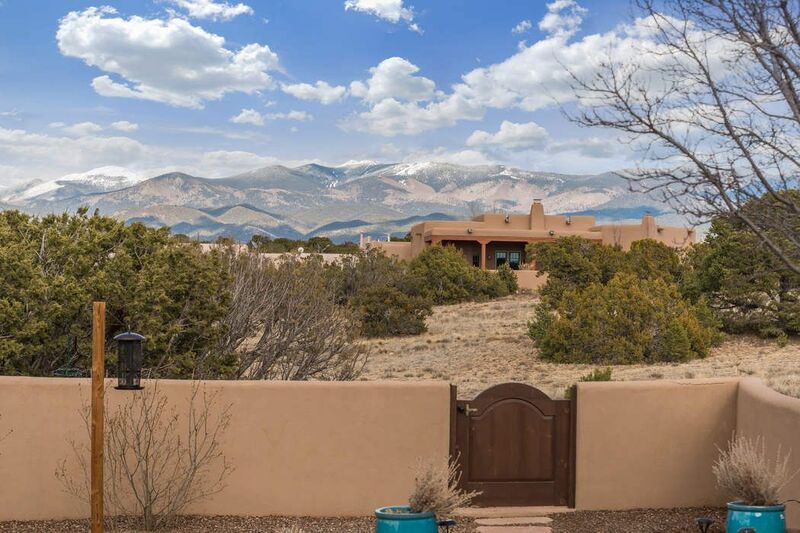 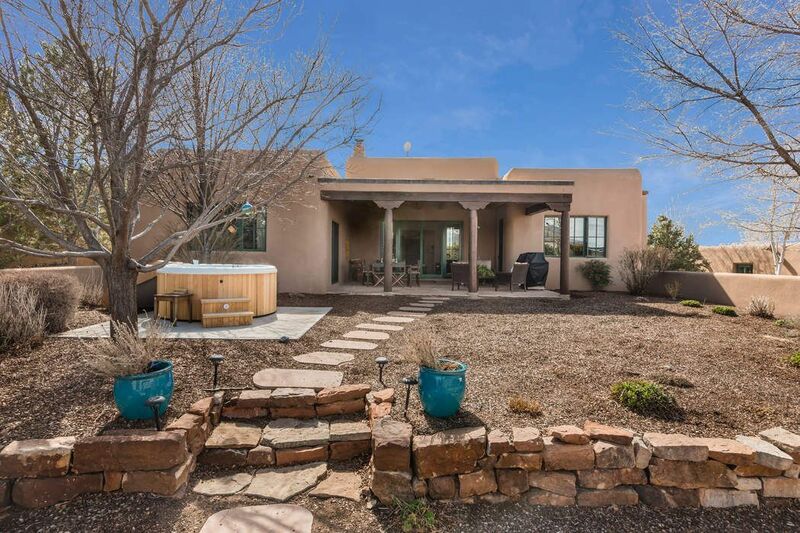 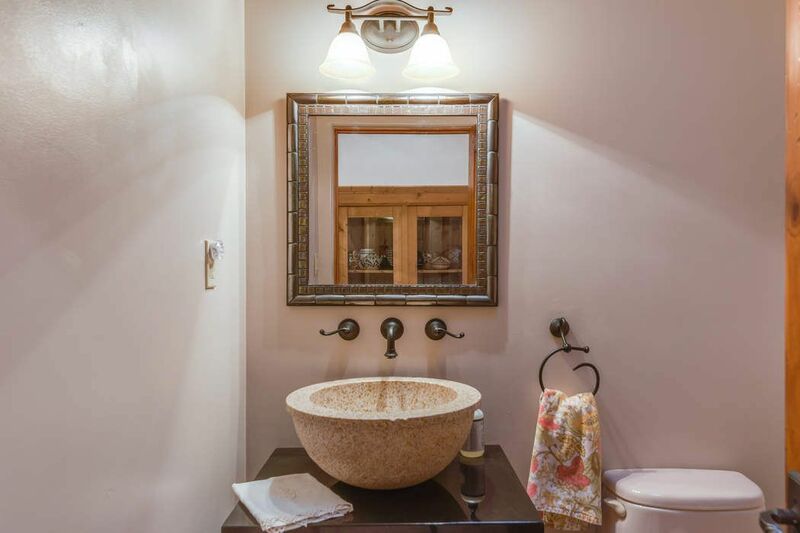 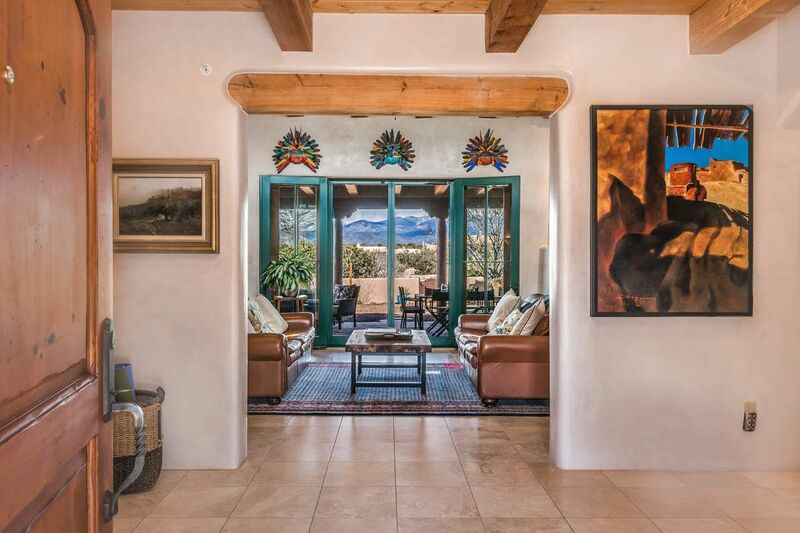 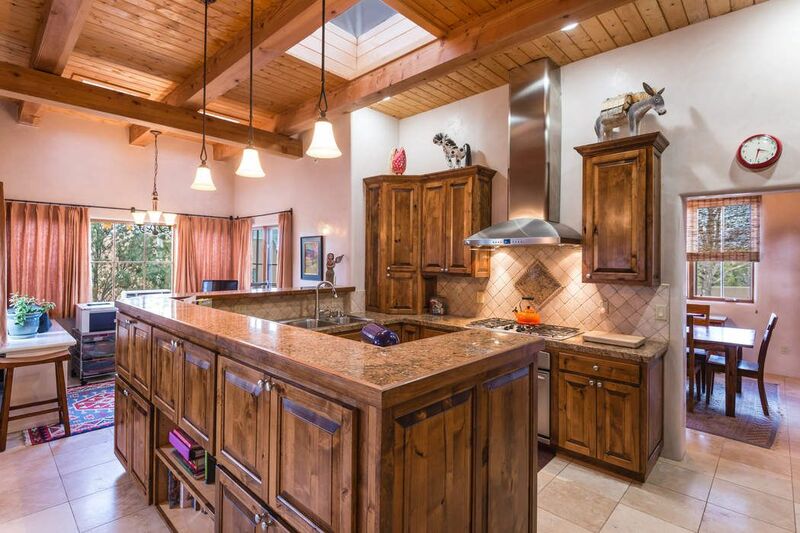 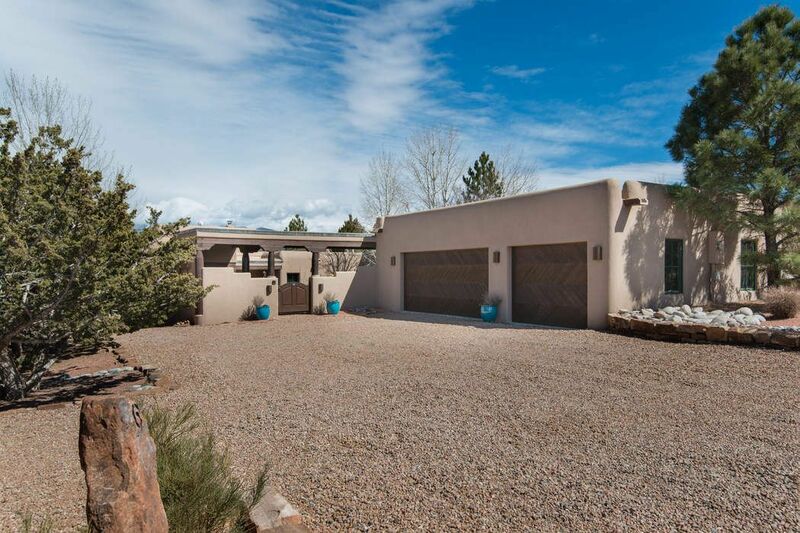 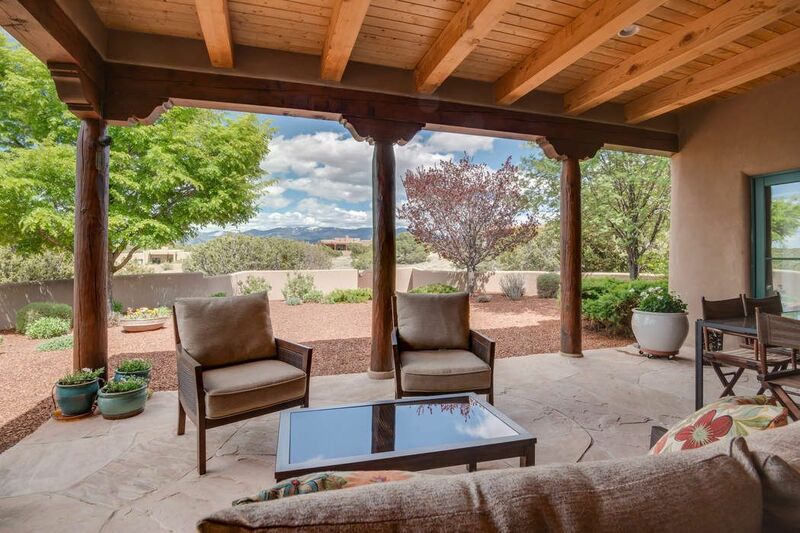 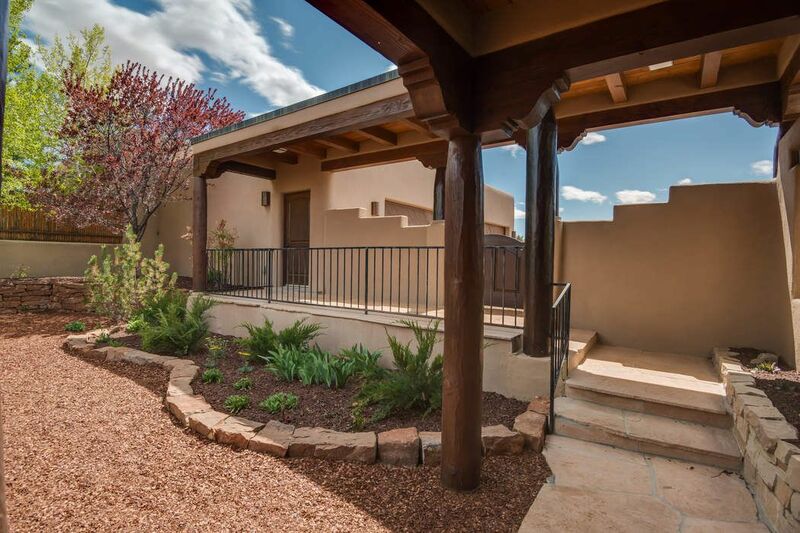 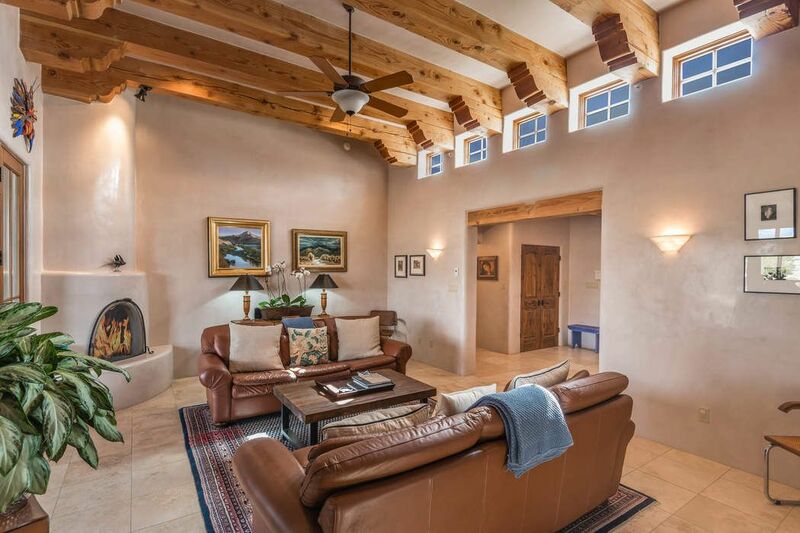 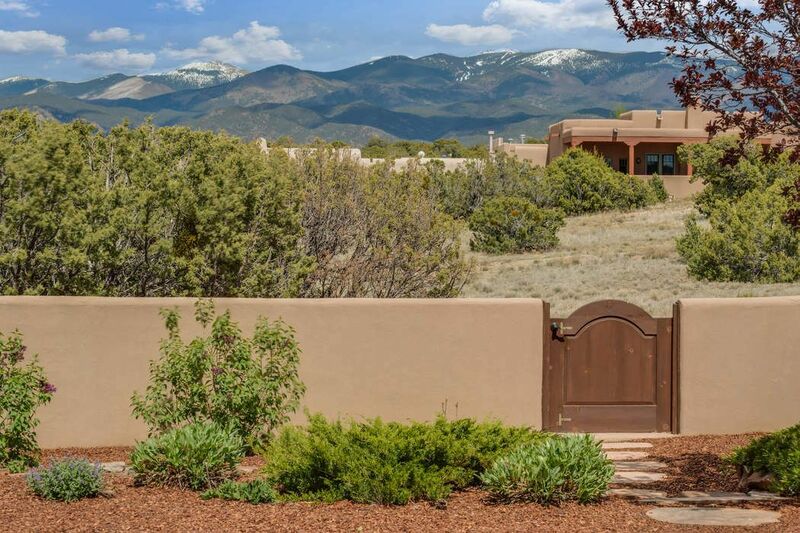 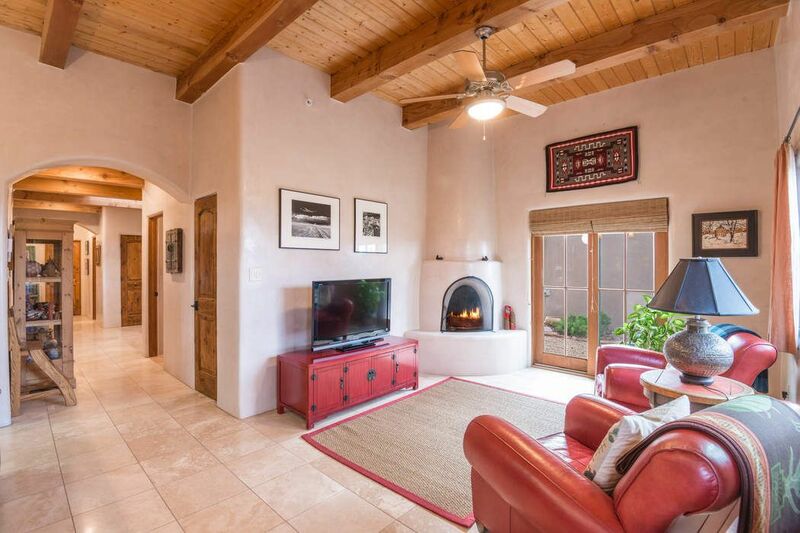 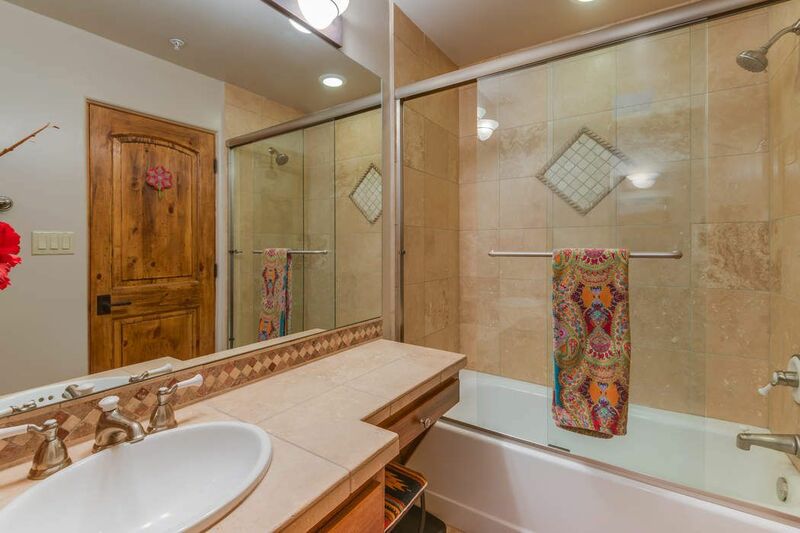 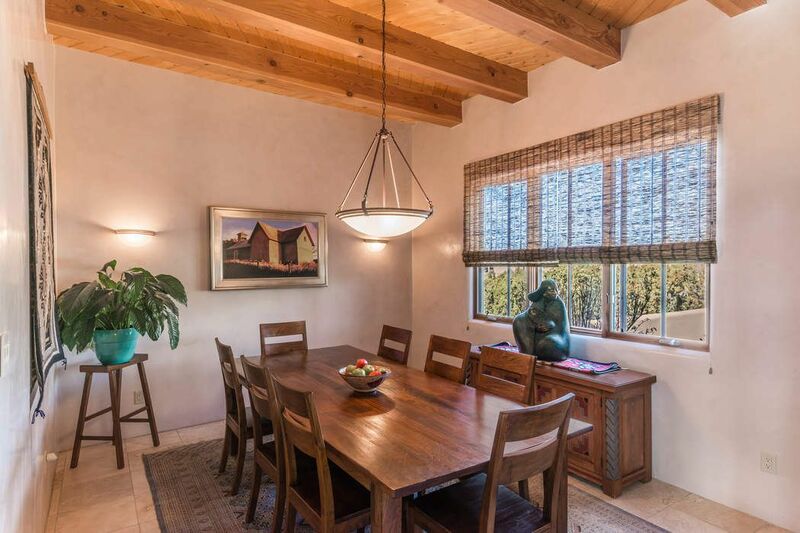 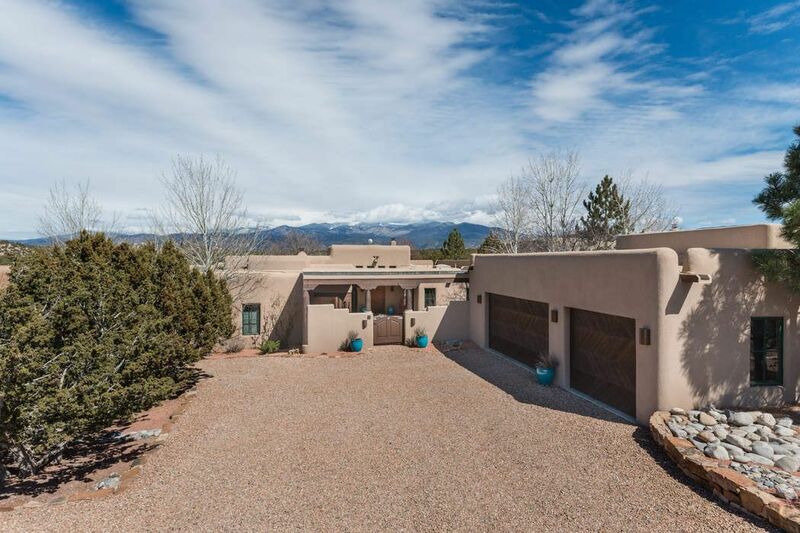 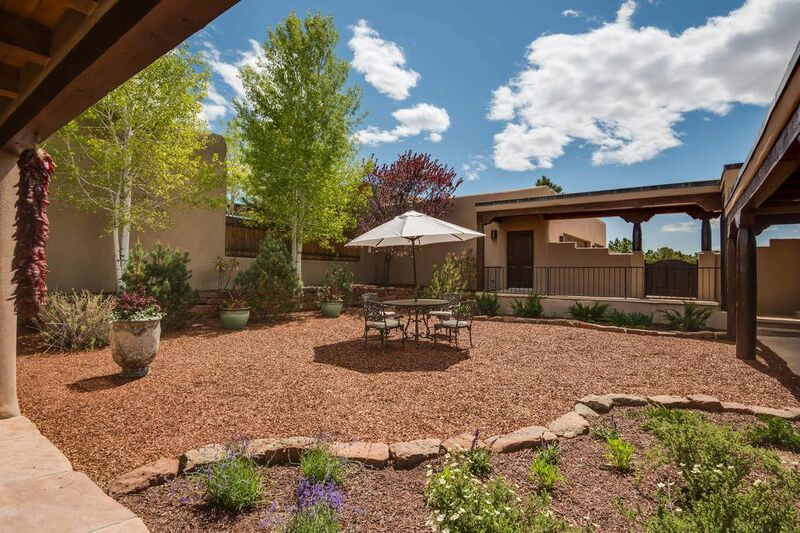 Ten skylights provide ample natural light throughout the house and the back portal can be accessed by three separate doors leading to a beautiful outdoor entertaining area complete with hot tub and some of the best views in Santa Fe. 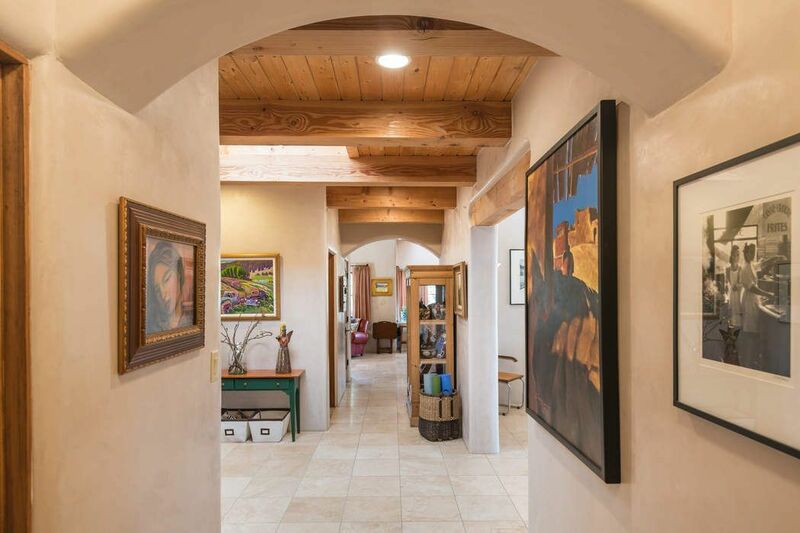 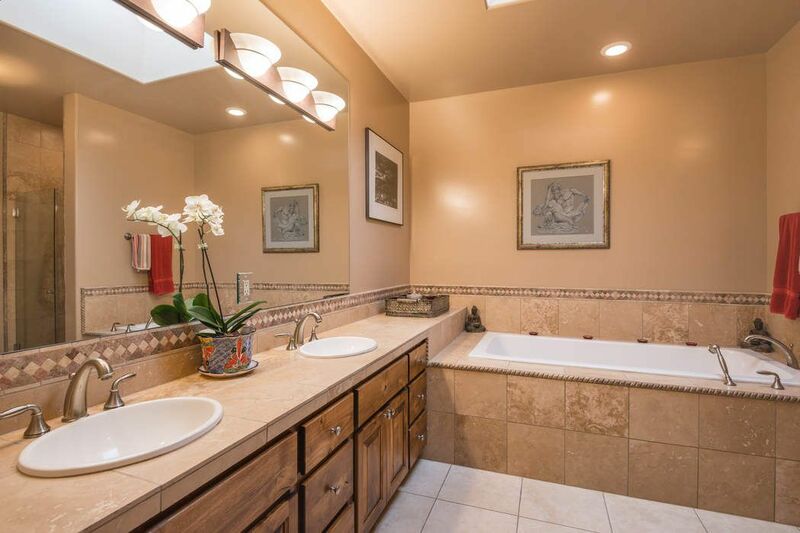 The casita is multi-functional and includes an office/library or bedroom with its own full bath, walk-in closet, vigas and travertine tile floors. 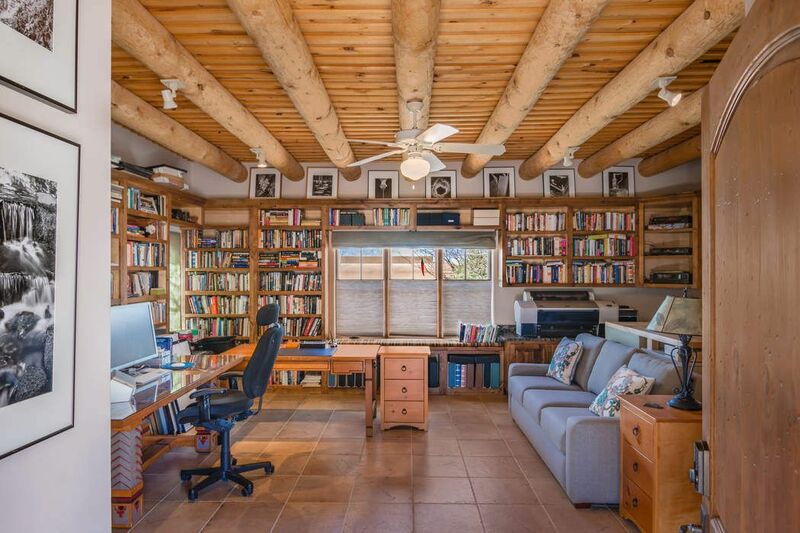 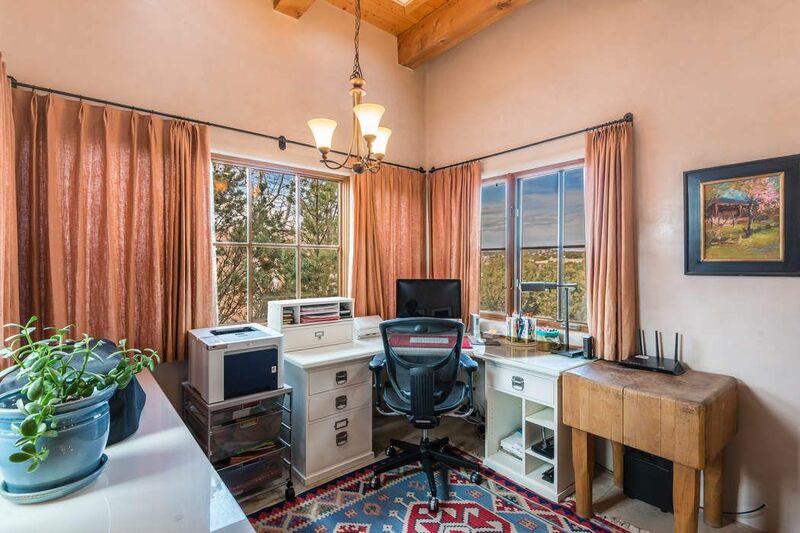 Floor to ceiling bookshelves and built-in granite desktops make this a book lovers delight! 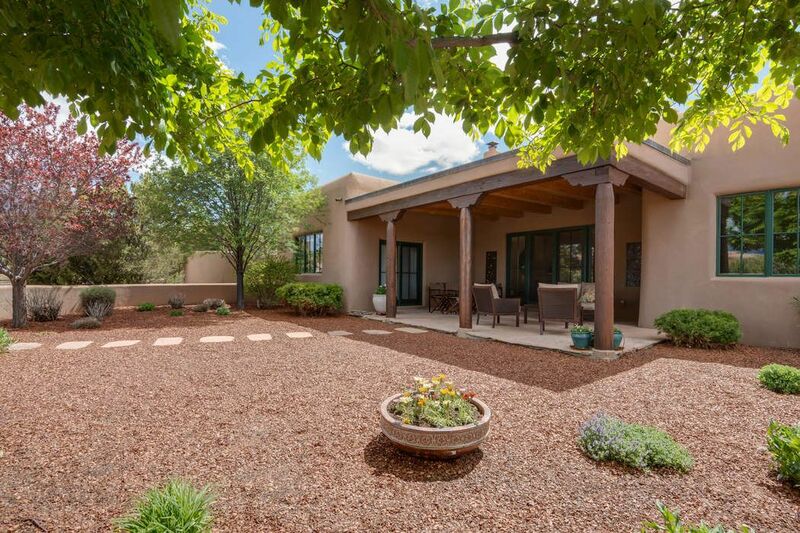 Beautiful mature landscaping and acres of protected open space with unrestricted mountain views and a community house, included in your HOA, for your out-of-town guests make this a home you won’t want to miss!